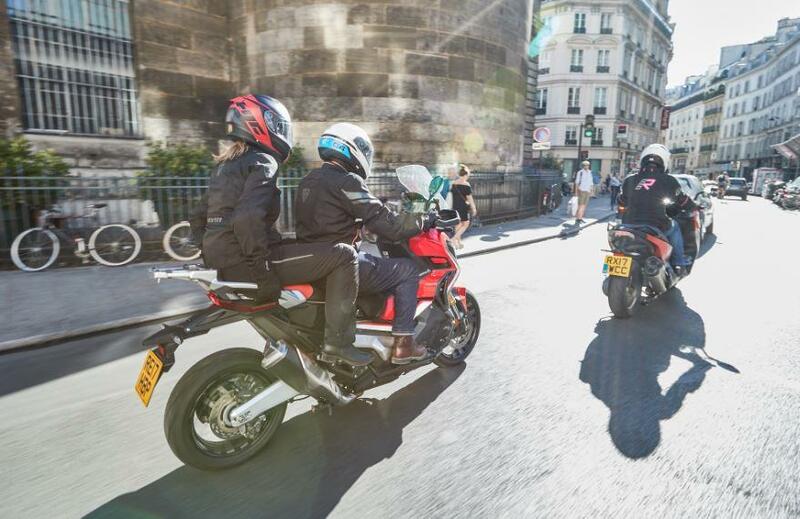 This time last week I was on the way to Paris for a little French adventure with two fellow scooter riders. 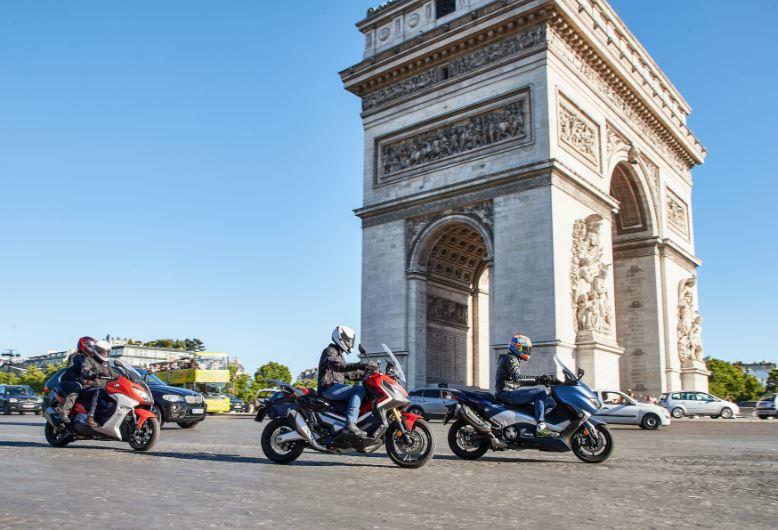 My Honda X-Adv and I were part of MCN’s annual maxi-scooter test. 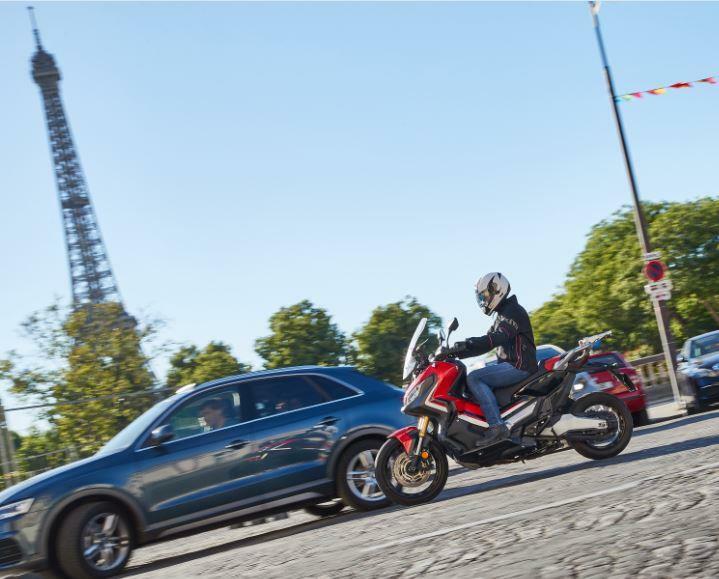 With a Yamaha T-Max and BMW C650 Sport to compare the Honda X-Adv to, I was intrigued to see how 'scooter-like' the X-Adv actually is. I was also curious to see what the others thought too. Our destination was Paris, via the Brittany Ferries crossing from Portsmouth to Caen. Our trip was going to include a lot of bike swaps, to get a feel for how each performs in different conditions. With 600 miles of motorways, dual carriageways, country roads and city streets it really was going to be a fun weekend. 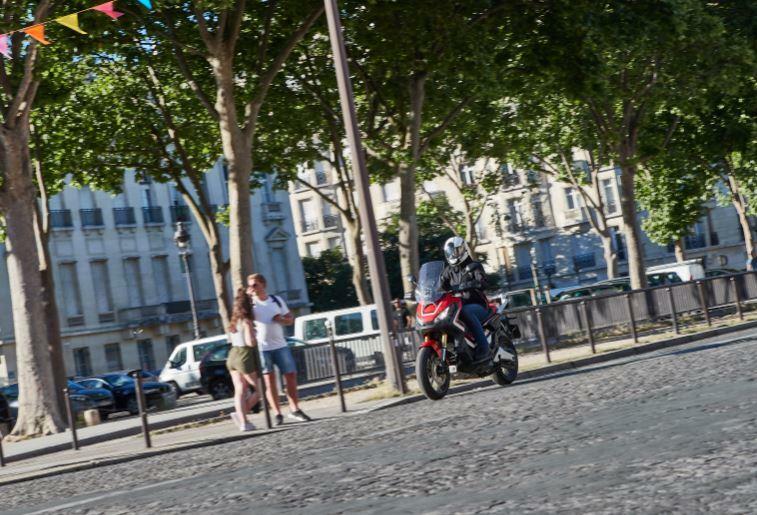 Paris is home to thousands of scooters and are so much more widely accepted than on UK city streets. Drivers expect you to filter through the tiniest gap, particularly on the city ring road, the peripherique. I didn’t realise Saturday afternoon traffic would be so bad but the X-Adv made it easy to slip through the rush. 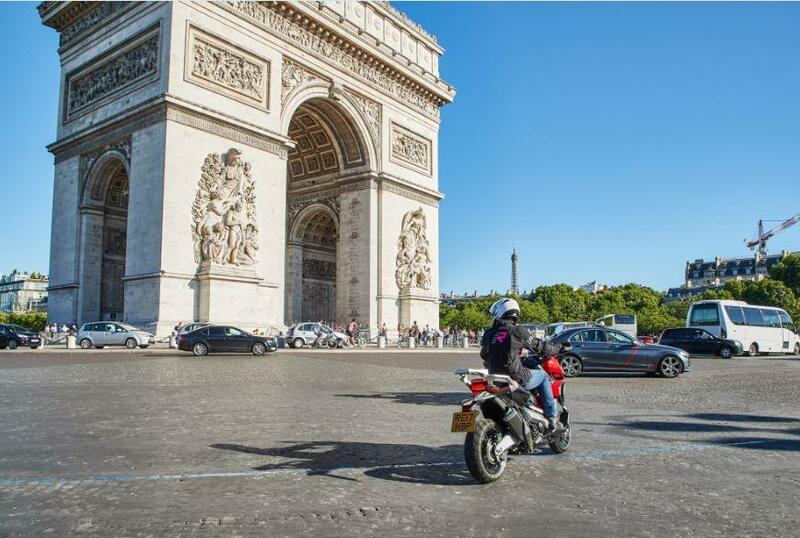 I took my life in my hands when I rode round the Arc du Triomphe. With twelve exits it’s the craziest and largest roundabout I’ve ever negotiated, I also hadn’t realised that vehicles joining have right of way. If I’d not got grey hair before we started riding round it, I definitely would have when we’d finished. On road tests there are lots of u-turns as we travel back and forth in front of the camera for photographs. Turning in the road is never my strongest point and the X-Adv is a bit tricky at times, the throttle can be snatchy so has caught me unawares. It’s also top heavy, so I was very cautious at slower speeds. After a weekend of bike swaps, all three of us were of the same opinion, the Honda X-Adv is definitely not a scooter. The seating position is a bit like a scooter, the gearbox is a bit like a scooter, the underseat storage is a bit like a scooter but it definitely isn’t a scooter, well, not in the traditional sense. Doesn’t make it any less fun to ride though!